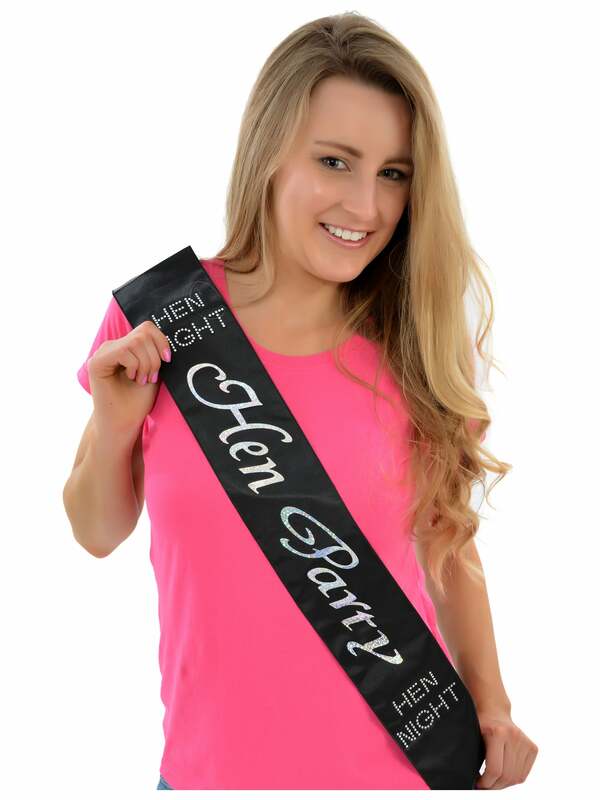 From our luxury range go out looking like a million dollors in this hen party sash. With a soft black satin feel and a quality look you can't go wrong. Each sash has a hen night message in diamante stones on either side of the gorgeous silver glitter hen party writing. A classy sash in a classy colour! Showing our 2 Luxury Hen Party Black Sash reviews with an average rating of Excellent. Would you like to write a review? Really good quality, looked very posh, excellent value for money. Review - These sashes look great and im sure everyone will love wearing them. They also look much classier than some of the other sashes I have seen and worn at other hen parties. These sashes look great and im sure everyone will love wearing them. They also look much classier than some of the other sashes I have seen and worn at other hen parties.